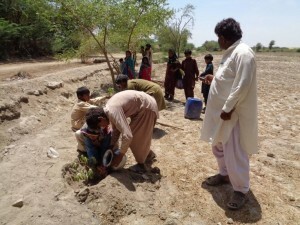 In celebration of Global Earth Day, Community world Service Asia had organized tree-plantation activities in villages in Thatta, Sindh, with the communities it works with. Cultural Activities on promoting environmental responsibility were conducted while the plantations were ongoing. Communities were also made aware of how these tree plantations help in disaster mitigation. 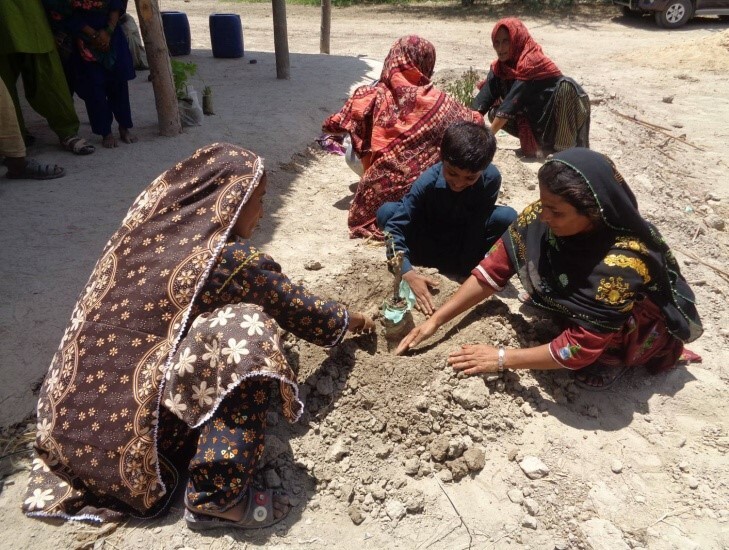 Many children in the Phul Jhakro village took part in these planting activities. The communities understood the importance of such activities towards the protection of the planet and realized that the global community needs to stand together in doing so. 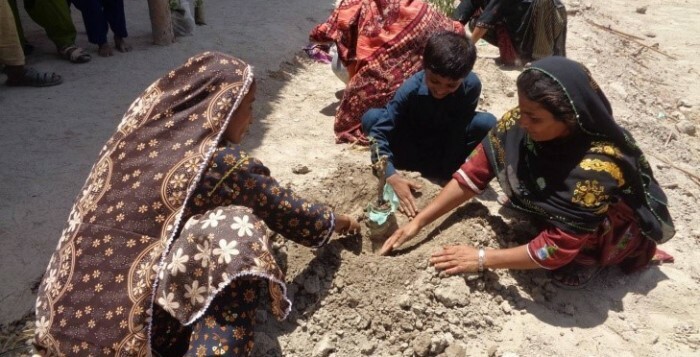 Community World Service Asia also collaborated with a boys’ school in Ahund Baradia, Thatta to organize activities on Global Earth Day on April 22nd. Students took part in a group activity divided under different topics such as “importance of plantation”, “flaws of deforestation” and “how to protect the earth” to showcase their understanding on the concerns. They also exhibited the safe village models that they had made to show the various DRR activities they have learnt through Community World Service Asia’s workshops. The model also displayed how the earth is made safer through tree plantation. 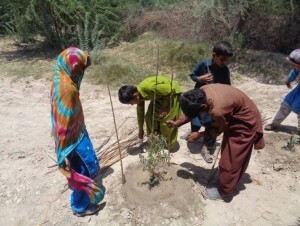 The main purpose of conducting these activities was to create awareness at different levels on environmental degradation and the benefits of tree plantation and how both of these impact climate change.